Doctor, my heart is broken! It hurts, I know. Everyone needs help healing a broken heart, no matter how tough you might be. So while I am not a doctor, I can offer you some suggestions on how to begin healing a broken heart and get past a break up. First and foremost, you need to realize that you are a worthwhile person, and this relationship does not define who you are. A relationship needs participation from both individuals, and if one stops participating, then the relationship cannot work. While you were responsible for your actions, you cannot control another person. If you made mistakes, learn from them, and do not dwell on them. Look for and focus on the good lessons and experiences you can take forward from this relationship. You may not realize it at this moment, but just because your boyfriend or girlfriend broke up with you does not mean you will never be in another relationship. The odds are that you will probably be dating again sooner than you could predict right now. And on that happy note… I reviewed an excellent step-by-step guide to help you stop your breakup or help you with healing a broken heart. Okay, now on to healing a broken heart. You need to prepare to move on, and one of the first things to do is to give back each other’s “stuff”. This may be tough -putting all of their belongings in a box and returning them- but remember that any item you do not give back will remind you of your ex. Anything you do not return should be thrown away, donated to a charity, or packed away in a box until your pain has passed. This is also the time to settle any financial obligations. If you owe each other money, pay up. The idea is to remove any reason to deal with your ex on a regular basis. Next, tell your ex that you need time away from him or her to accept the situation and that you do not want to see or talk with them for a while. You do not have to tell them that you are in the process of healing a broken heart, just that you need some time alone. While you and your ex may become friends in the future, for now, avoid all contact. This also includes texting and emailing -no contact. Also, remove them from your friends list on social networking sites like Facebook, Instagram, Snapchat, and Twitter –you can always ask them to be friends again later. By removing him or her from your system, you are better able to move on. Of course, if you are in the same school or workplace, make an effort to keep your distance without being rude. Healing a broken heart also requires you to get back into the real world as soon as possible. Here are three steps to get you started. First, enlist the help of your family and friends. Let them support you through this healing process. Rather than focus on your pain, focus instead on having fun with the people you care about. Second, begin to fill up your social calendar. Start working out at the gym to make yourself look and feel better. Sign up for classes in something you’ve been interested in, like cooking or photography, or find a local hobby group. And do not overlook the value of getting involved with something bigger than yourself by volunteering. This is a very rewarding channel for your time and energy. Healing a broken heart can be easier when you focus on the needs of others. Third, begin to date again. Do not pressure yourself to fall in love with the first man or woman that you meet. Sometimes a date is just a date. Enjoy the social interaction and the variety. You are “testing the waters” at this point, so plan to go out on a number of dates with different people during this time. Be yourself, be honest, and do not feel obligated to fall in love, okay? Also, keep in mind that unknowingly being in a “rebound relationship” is rarely fun for the other person. Healing a broken heart can take time, and you will not be in this place forever. By following the steps in this article, you will begin to love again. Are you ready to start healing a broken heart? Whether or not you get back together with your ex, you will need to clear up the past and start getting your life together for your own benefit. Imagine getting back together again without having guilt or anger from past memories. To go about your day with a light heart, getting your appetite back, and having blissful sleep. To resume planning for the future instead of living in the past. And to stop being green with envy every time you spot a happy couple. 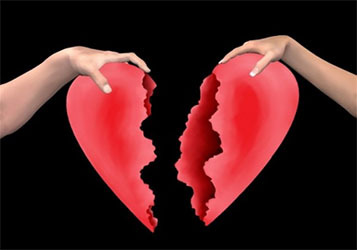 This entry was posted in Blog and tagged broken heart, healing a broken heart by admin. Bookmark the permalink.